The spring and the early summer of this year is the time, when many interesting movies, among which there is upcoming Transformers: Age of Extinction film, will be released. And so their creators do not sit idly by and actively advertise the projects. Thus, yesterday, a fresh poster of Transformers: Age of Extinction movie, the release date of which is scheduled for the end of June this year, appeared in the network. 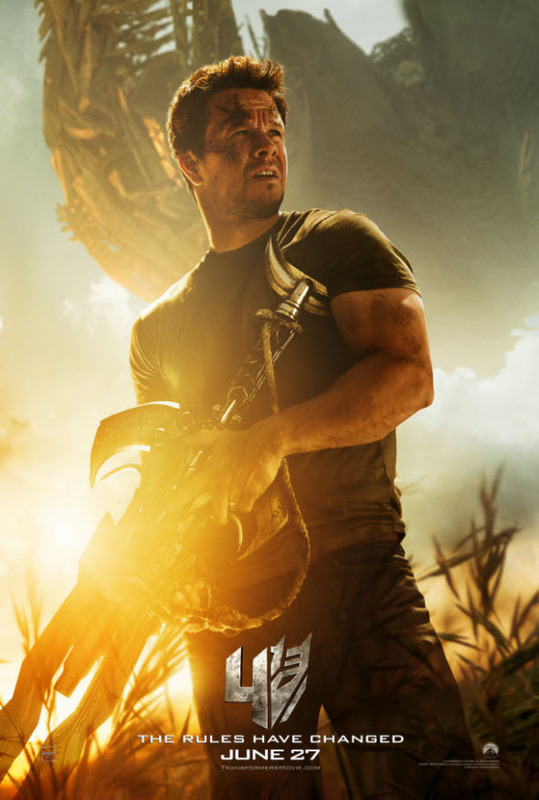 On the new image we can see the exhausted and tired protagonist of this blockbuster - Cade Yeager, who was played by Mark Wahlberg, - with some weapons in his hands and against the background of a transformer. In addition, at the bottom of the poster there is an interesting inscription - "The rules have changed", which obviously should be related to a new war between the transformers and the humans, the rules of which our hero will have to learn. But as it usually says “seeing is believing”, so we offer you just look at new film’s poster, which is published below. Transformers: Age of Extinction movie, the release date of which in USA is scheduled for June 27, 2014, tells the story of a new war between the transformers and humans, which appeared because of some device, which helped Autobots and Decepticons return to the Earth. And the last ones, as you may guess, won’t miss their chance to conquer our planet.